Anyone who knows me knows that I love a good workout. In fact, I work out up to three times a day, everyday. I walk from my bedroom to the couch and back, bedroom to the couch and back, and bedroom to the couch and back. An active lifestyle is really just so important to me. Teehee. 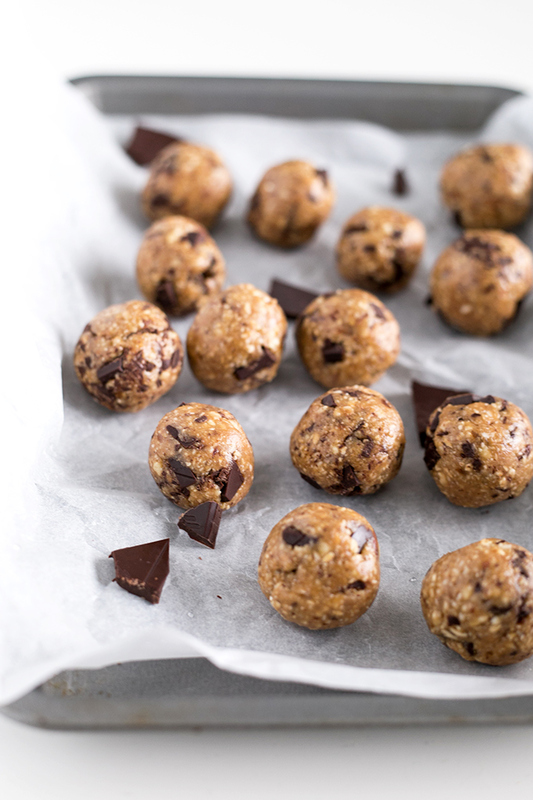 As anyone knows, after pretending that you’ve burned 600 calories, it’s always good to refuel with something healthy and these Vegan Chocolate Chip Cookie Dough Protein Bites are the perfect way to do so. I mean come on, anything in the flavor of Chocolate Chip Cookie Dough has got to be a winner, right? In this recipe I use Dates, Cashew Nuts, Vanilla Bean, Sea Salt, Oatmeal, Maple Syrup, Vegan Protein Powder and Vegan Dark Chocolate. 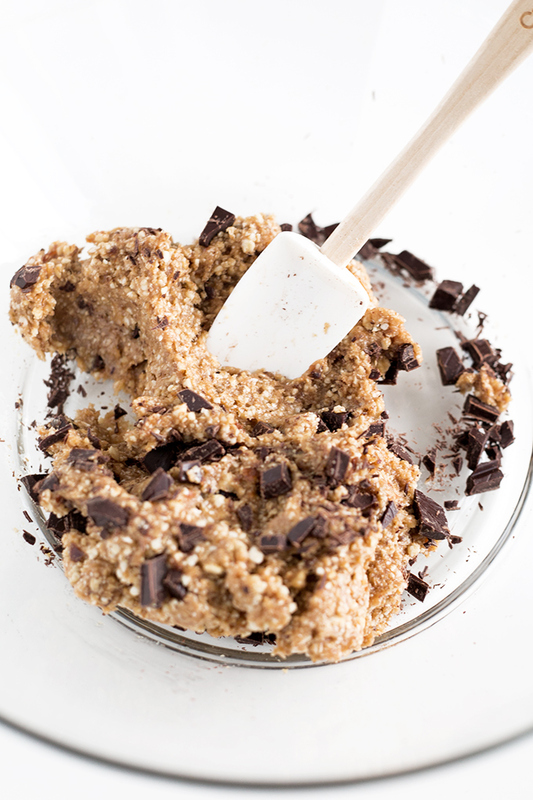 Perfectly healthy Vegan Chocolate Chip Cookie Dough Bites – enough to make me feel a little less guilty about the 3 slices of Peanut Butter and Jelly on toast that I had for lunch. Now, I know that Vegan Chocolate Chip Cookie Dough usually consists of flour, vegan butter and all that, but we’re trying to be good here. You can substitute the Vanilla Vegan Protein Powder for Lucuma Powder (which is equally delicious) if you’re not entirely into the GAINZ lifestyle. I like to believe that I’ve made massive gains over the past few months… my jeans don’t fit anymore and the cottage cheese on my thighs seem to be reproducing (so much protein!). Yayyyy. 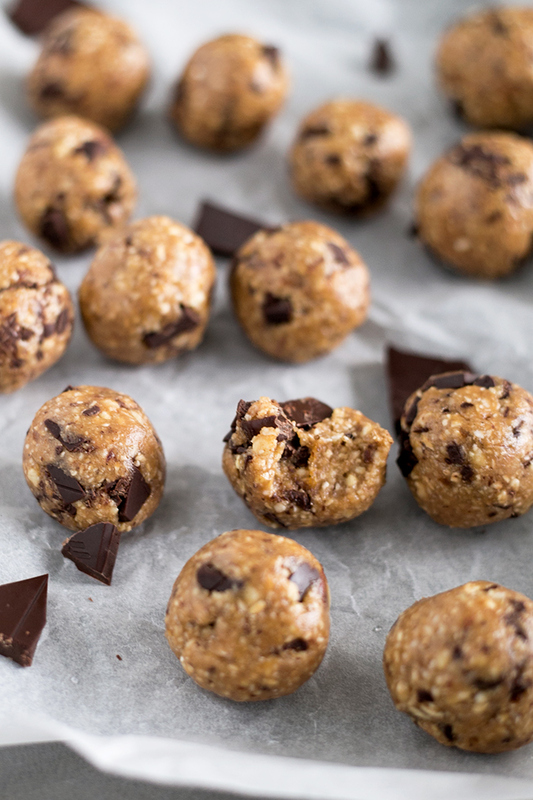 Scroll down for the full recipe to make your very own Vegan Chocolate Chip Cookie Dough Protein Bites – they’re delicious, easy to make, Gluten Free, packed with protein and the perfect thing to grab when your sweet tooth is crying for attention. They are also lovely frozen, chilled, or even at room temperature. I like them out of the fridge because they are extra chewy, and we all know the more you chew, the more calories you burn! Yippee! 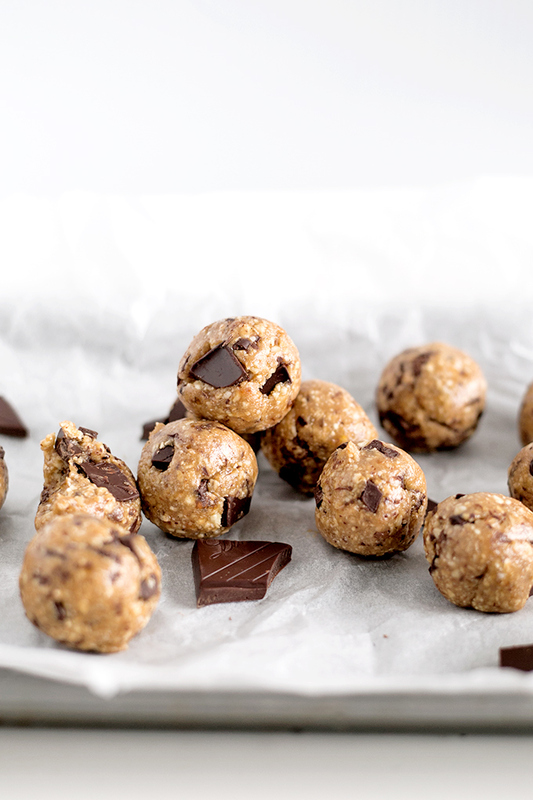 Delicious Vegan Chocolate Chip Cookie Dough Protein Bites - made in under 15 minutes with Dates, Cashews and Dark Chocolate. The perfect healthy snack! Combine Cashews, Vanilla Bean Seeds, Oats and Sea Salt in a food processor. Pulse together until a coarse meal forms. Add Dates and Maple Syrup to your Cashew Pat mixture. Pulse again until the mixture comes together in a ball, similar in texture to cookie dough. If it is too try, add a few DROPS of water and pulse again. Different Protein Powders have different absorbency rate. Remove the dough from the food processor and place it in a small bowl. 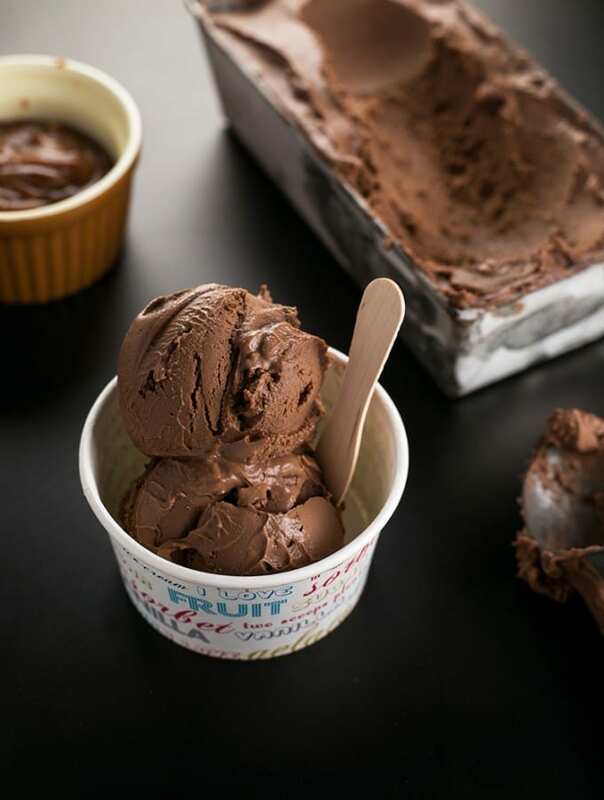 Fold in the dark chocolate with a spoon or spatula until it is well incorporated throughout the dough mixture. 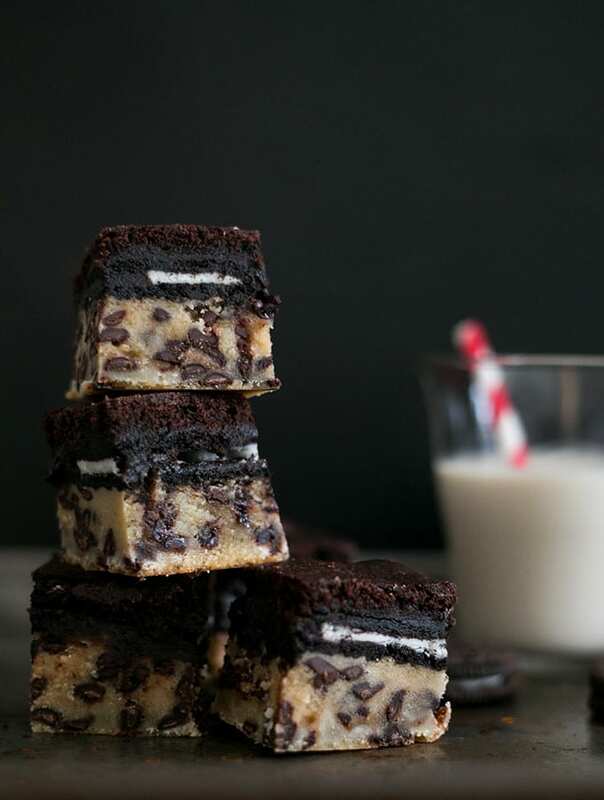 Using a teaspoon, portion out your cookie dough into twelve even portions. Roll each portion into a ball. Place your rolled bites onto your parchment lined tray. You can eat them right away, or store them in the refrigerator or freezer to chill, for a chewier texture. 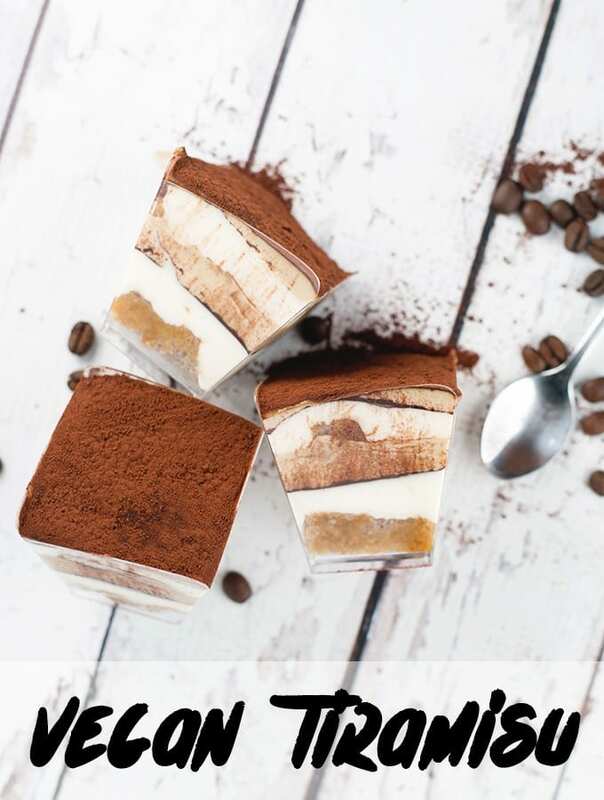 How much protein is actually in each bite/a batch? About a week to ten days! I hate oatmeal is there anything i can use in replace ?!?! 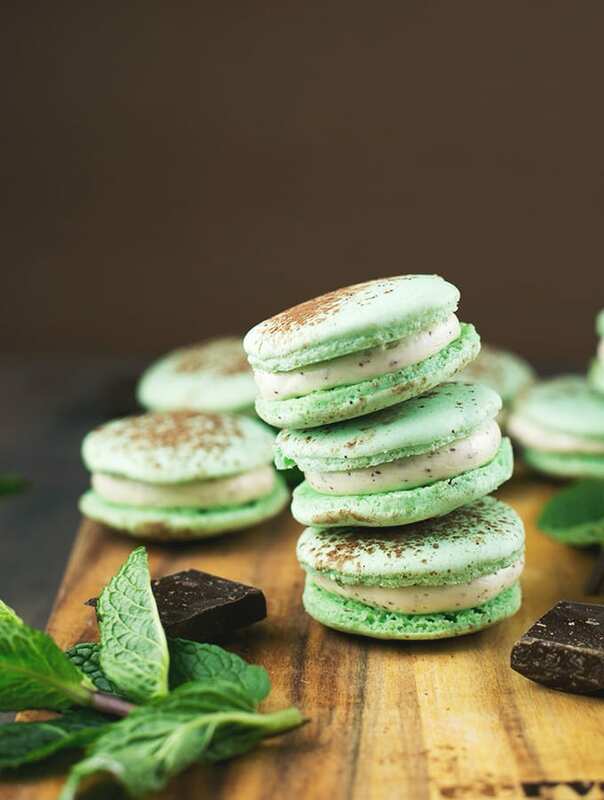 I made the protein bites, using 3 tlbs of pea protein powder and 1 tsp vanilla extract in place of the pods, and they turned out great! They are my new fav for pre-run fuel and post-run recovery. Thanks, Amrita!